Our locksmith Canberra team is available to help you 24 hours a day, 7 days a week. 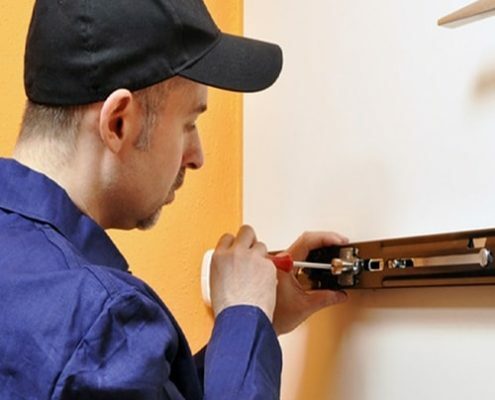 At Out And About Locksmiths, we use comprehensive locking equipment and security systems. 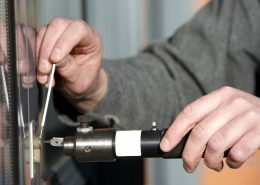 Our up-to-date facilities enable us to perform high-quality locksmith services to all of our valued Canberra customers. Are you locked out? Call us on 0431 515 640 anytime! Our Canberra team will be there as soon as possible. Specialising in delivering domestic and commercial security services to Canberra residents and business owners. Replacement locks, duplicate keys, keys from codes, and transponder keys. A huge range of locksmith services from garage locks, lock supply and fitting, to emergency lockout services and car remotes. Are you looking for an affordable 24hr Mobile Locksmith Canberra Service? 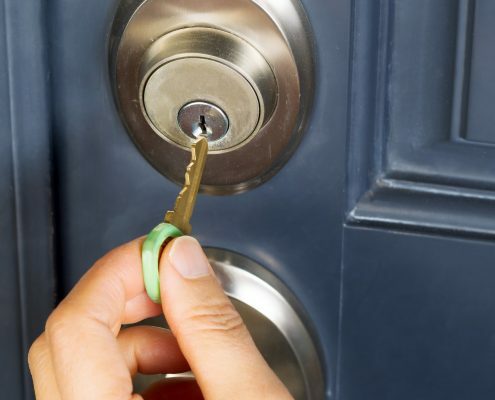 Out and About Locksmiths offers a range of mobile locksmith services in and around Canberra. We are completely licensed and insured and offer a 24hr lockout service for your home, office, and vehicles. When it comes to our automotive locksmith service, we engage in repairing and rekeying your vehicle doors and ignition locks. We even make spare car keys for both standard and the latest model transponder keys. If you have lost or misplaced your car keys, then we even make spare car keys for any make and model. All of our locksmiths are SCEC certified. As part of our 24/7 Canberra emergency mobile locksmith service, our versatile mobile locksmiths are just a call away. 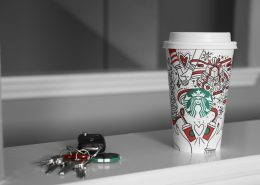 If in case you have lost your house key and are not able to get inside, then our mobile locksmith responds to all such emergency situations without delay. 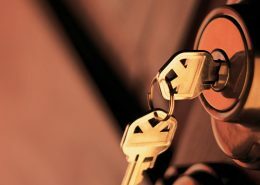 Additionally, as part of our residential services, we can have your house locks and keys repaired and replaced. We engage in car rekeying services and also supply deadlocks, garage locks and window locks for your home. 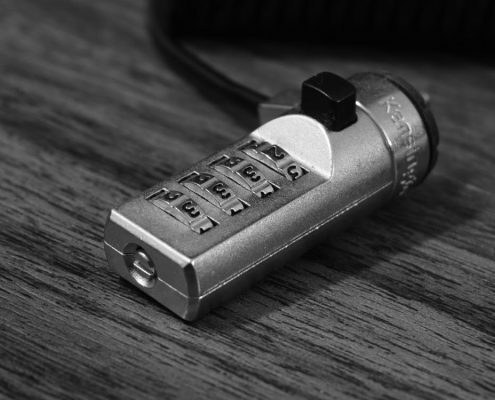 As part of our Canberra commercial mobile locksmith service, we offer master keys and security key systems, and rekeying service. We carry out residential and commercial safe installation and upgrades. Home security is essential for your family. If you are looking for easy access home security why not talk to us for a solution. We have a variety of range of home security. 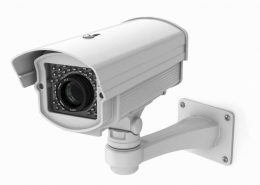 Wherever you go, whenever you want to keep your house and family safe we can help you with setting up CCTV or mobile-friendly programs for house protection. In Canberra, 2 out 5 houses have been robbed. Unfortunately, thieves are out there scoping out houses to break in to. Out and About Locksmiths can help you easily secure your family. The Security Construction and Equipment Committee (SCEC) is a standing interdepartmental committee responsible for the evaluation of security equipment for use by Australian Government departments and agencies. The SCEC reports to the Attorney-General’s Department Protective Security Policy Committee which was established to develop and maintain guidelines for the protection of Australian Government resources. If you are looking for a first-class locksmith service in Canberra, you have come to the right place! Out and About Locksmiths cover all aspects of locksmith services in the ACT and surrounding areas. Want to become a Locksmith? Here’s How! Are you wanting to pursue a career in locksmithing? Well here’s how to do it. The first thing you will need to kick start your career in locksmithing is an apprenticeship or traineeship which are obtained under the Australian government schemes. Both of these programs are quite flexible so if you are a student wanting to start early, you can do so by combining school and work. These two programs are not just restricted to young students but also mature age students. Nationally recognised qualifications, certificates and skills. Paid work and structured training. A range of financial benefits to employers and students. To begin with, you want to try to find an employer willing to take you on as an apprentice. You can do this by contacting locksmiths directly in your area. The next step is for the employer to contact an Australian Apprenticeship Centre (AAC) to organise the required agreements. We are the most professional locksmiths in Canberra no questions asked. then you should contact Out and About Locksmiths. Our mobile locksmiths are experienced, reliable and professional when it comes to the many locksmith services you are looking for. Call us on 0431515640 at any time! Locksmith Canberra Services at an Unbeatable Price! At Out and About Locksmiths Canberra we don’t focus on just getting the job done, our main focus is the customer. 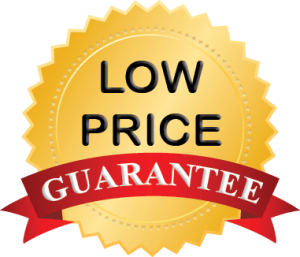 Negotiable pricing is based on the relationship with our customers – a lot of other locksmiths don’t offer negotiable pricing. If we know you have been using Out and About consistently, we give back to you. We have a dedicated locksmith team that services the Canberra region. So you can be sure that when you call Out and About Locksmiths, you’re always going to get assistance. 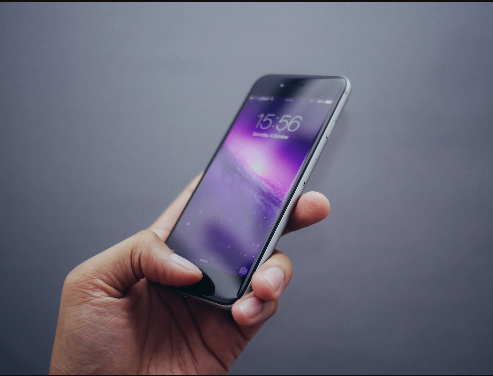 Our team all have modern smart phones with a GPS to ensure they don’t get lost on their way to you. All of our locksmiths are also all police checked and they are all fully insured to provide you with peace of mind. We may be cheap, but we definitely do not sacrifice quality. We didn’t get to where we are today by offering low quality locksmith services. All of our locksmiths are fully trained, insured and police checked. 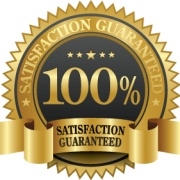 The quality of our work will leave you feeling sure you picked the right locksmith. We take all complaints very seriously and always strive for 100% complete customer satisfaction. There is no better time to secure your home! Here are a few quality home security tips for 2016 brought to you by Out and About Locksmith Canberra. To begin with, what you will want to do is find any weakness within your home. The best way to do this is to plan to rob yourself. Doing this, you will discover blind spots that you may have missed that burglars may target. Once you have discovered weaknesses within your home, brainstorm solutions on how to strengthen that specific area, e.g. security camera, guard dog, quality lock. 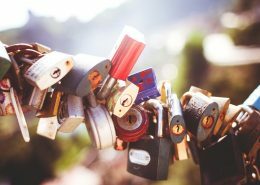 When you move into your brand new home, it is a very good idea to change all the locks. In doing this, you now know that you and your family are the only ones with your house keys and they are not in anyone else’s hands. Now with these keys make sure to lock up the house every time no one is home. It is good to get into a routine and remember to lock everything up, even if you’re only going to the supermarket – burglars will take any opportunity when you’re not home. 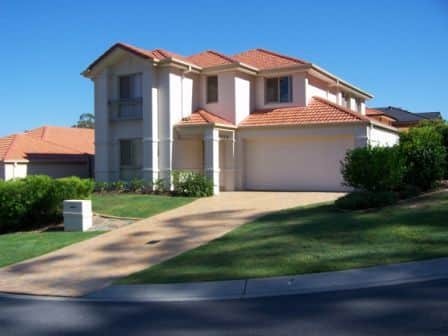 It is highly recommended by Out and About Locksmith Canberra that you install a high quality alarm system for your family home. When installing your alarm system remember to hide all the wiring. Experienced burglars will look for flaws in your system and will act upon any mistake you make. If they notice any exposed wires, they will take the opportunity to disconnect them. If you have a faulty alarm that frequently goes off, try to get it fixed as soon as possible and always let your neighbour know that it’s been repaired. 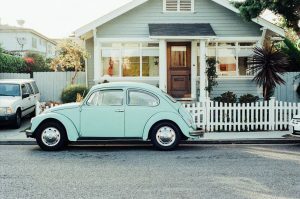 You should try to be acquainted with your neighbour, so you can let them know when you are leaving for a holiday or leaving the house for more than a day. This way, they can let the authorities know of any suspicious behaviour. We live and work around Canberra so we can be out to you fast! Australia has a stable political system and low crime rate on a world scale, so Australians experience a safe lifestyle. Nevertheless, every morning we hear the horrible crime news on TV. In order to keep your family and house safe, Out and About Locksmiths have a couple of options to choose from for your home security. 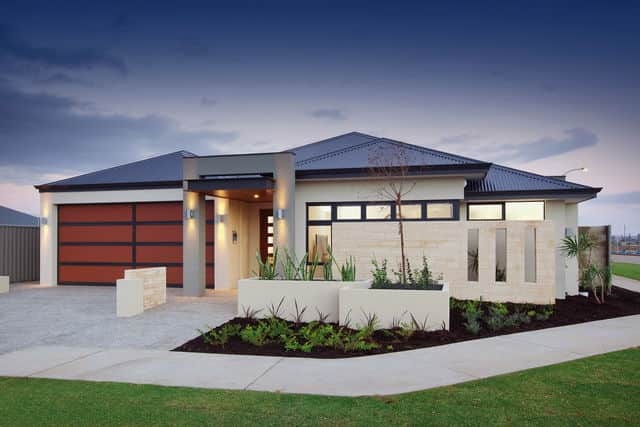 Out and About Locksmith Canberra highly recommends contacting companies that install home security systems in your area. See what they offer or suggest for your home or business. Hundreds of burglaries occur each year needlessly in Canberra, because either the householders don’t stick to a locking up routine at night. 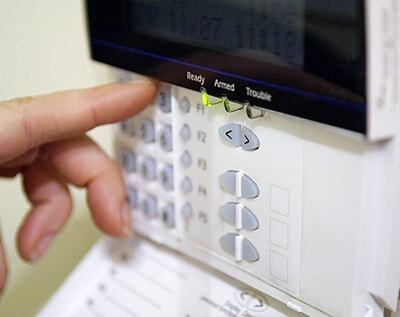 Sticking to your home security checks every night insures you and your family are safe. Also always check for vulnerable areas around the house that people can get in from. Who knows how many keys have been cut by the previous tenant/owner and who has a copy? Getting your locks re-keyed ensures that you and your family are the only ones with access to your house. And many customers say they’d recommend us to their friends. Did you know that here at Out and About Locksmith Canberra we can create new car keys? Whether you just want a spare set, have lost your keys, or have locked them in your car, we’re here to help. We can even create transponder keys (keys with an inbuilt code to deactivate your engine’s immobiliser). If you’re facing this problem or any other lock or security related issue, Out and About Locksmiths offer a range of great solutions. Get in touch with us today! Every year close to 4 million homes are burgled. We’ve assembled a list of things to do to discourage burglars. Starting with the obvious: lock your front door! Nearly half of all burglars enter through the front door. Avoid putting empty electronics boxes out for curbside collection. Electronics are the second most commonly targeted item when it comes to burglars. You’re better off cutting the box up and putting it in the recyclables. 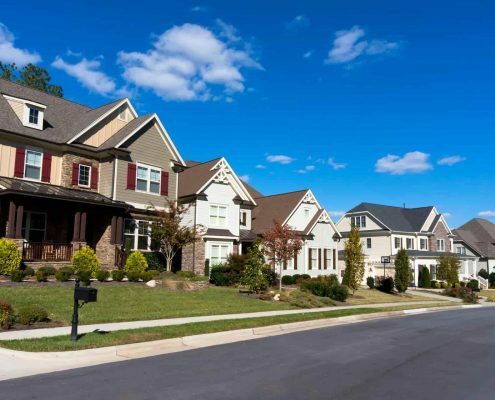 If you live in a townhouse, in the middle of two other houses, in a cul-de-sac, or if your property is next to a forest or empty lot, there are plenty of places for thieves to hide. You can help make your home harder to access with high fences and plenty of lighting. Motion-activated lights are a good way to save power, and they make it obvious to you and your neighbours that someone’s there. If you need to leave some windows open during the summer, use a window jam that prevents the window being fully opened. Don’t post holiday pictures to public social media profiles – if anyone undesirable has their eye on you, this will give them a sign that you’re away from your house. If you acquaint yourself with your neighbours, you can let them know when you’ll be away. They can keep an eye on your property, and even pick up your mail and turn your lights on and off. You can also get your mail put on hold while you’re away. Keep an eye on the police report for any trends. You might find that your neighbourhood is being targeted. This can help you keep one step ahead of the crooks. Having an alarm is good, but don’t forget to arm it! Most burglaries occur during the day, so make sure it’s always on when you’re out. Since speed is a factor in burglaries, having an extra lock on your external doors is always a good measure. 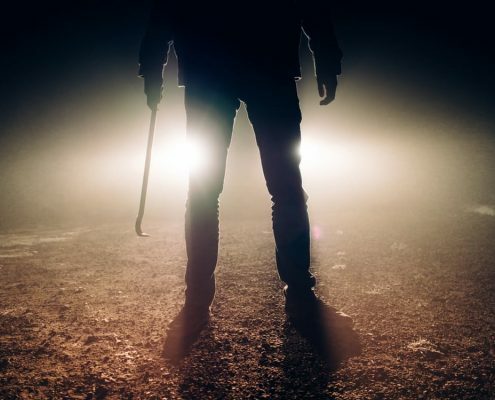 If a burglar can’t get in to your home in under a minute, chances are he’ll move on. And finally, keep your trees and hedges trimmed to ensure a thief can’t hide too easily. Out and About Locksmiths: your go-to locksmith for any lock, key, or security-related issues. 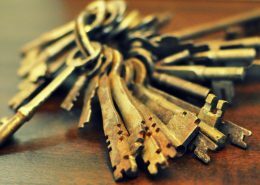 We can rekey or key alike your locks – so the one key works in all the locks in the house. Locked out? It’s not a problem, we can help. We can repair and replace locks. We supply and fit locks including deadlocks, window locks and garage locks. We also repair and rekey car door locks and ignitions, and cut spare keys of standard or transponder type. 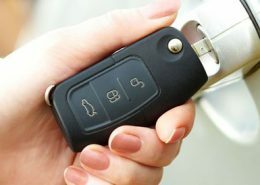 We can create a key for your car when you have lost yours. You might be wondering who is the best locksmith Canberra. Well, you have come to the right place – Out and About Locksmiths are renowned for doing a great job every time. We are available 24/7, and come to the job promptly. Another thing we’re proud of is that we don’t cost the earth – in fact, you will find that our rates are very competitive. Check out our testimonials below to see what our happy customers have to say about us. 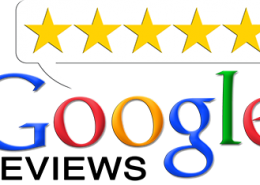 Great communication, fast service, and did an excellent job. Fantastic service. They’re honest and genuine and tend to my needs. I recommend to anyone who needs locksmith services. Paul was great! He came out in less then 25 minutes and had me back in the house in less than 5 minutes, which was fantastic as it was bloody cold! He even cut me a spare door key from his van, was also much cheaper then the last locksmith I had to use. Highly recommended! Someone tried to break in to my car and damaged the door lock. Out & About Locksmiths Canberra came out and fixed it up for me. Thank you! Very pleased with the service I received, will definitely recommend you in the future. Needed a locksmith in Canberra for my house. Out and About were the first to respond, turned up when they said they would and did a great job. Recommend to others. Recently got these guys out to replace some house keys and locks that were getting a bit old and sticky. Out & About Locksmiths Canberra were efficient and got the job done for a good price. Would recommend. Fantastic service. They honest and genuine to tend my needs. I recommend you anyone needs locksmith service. Very professional work and reasonable charges. We’ve used their services twice this year and recommend them highly. You don’t have to wait weeks for them to come (if it’s not an emergency).